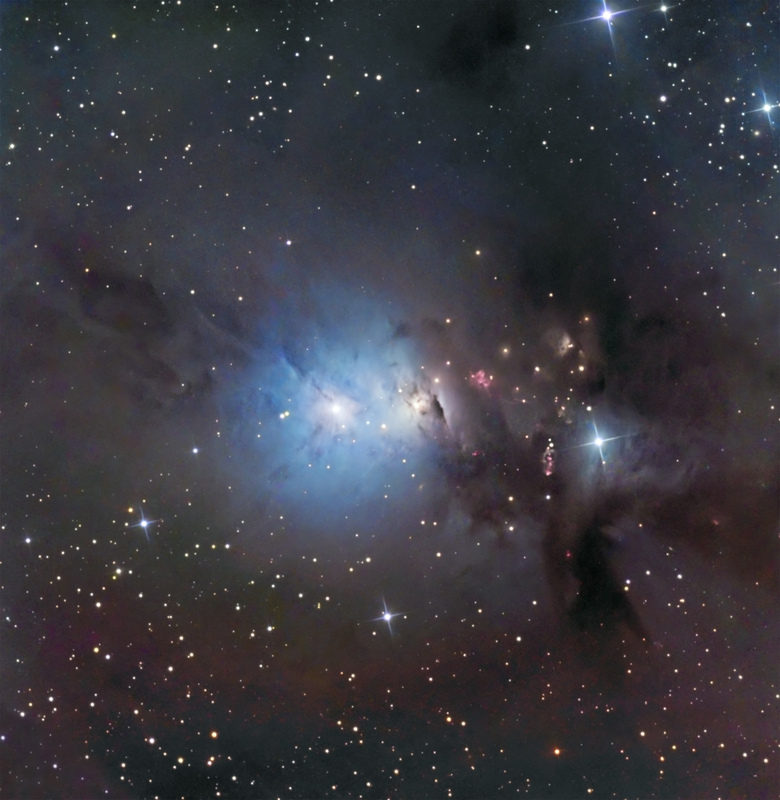 NGC 1333 is a very active region of star formation in the Perseus molecular cloud. In fact, it is one of the most active regions of star formation within 1500 light years of the Sun. The cloud has a dozen OB and a large number of low to intermediate mass stars younger than 6 Myr, and many outflows from stars that show up as Herbig-Haro objects (streaks). North is toward the upper left and the image is ~35′ wide.